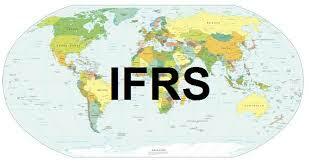 • What are the benefits of adopting international accounting standards for (a) investors, and (b) business enterprises? • What are the potential risks associated with a move toward the adoption of international accounting standards in a nation? • In which nation is the move to adoption of IASB standard likely to cause the revisions in the reported financial performance of business enterprises, the United States or China? Why? and had stronger balance sheets, than commonly supposed, whereas Japanese companies had lower earnings and weaker balance sheets. By putting everybody on the same footing, the move toward common global accounting standards should eliminate such divergent practices and make cross-national comparisons easier. However, the road toward common accounting standards has some speed bumps on it. In November 2004, for example, Shell, the large oil company, announced that adopting international accounting standards would reduce the value of assets on its balance sheet by $4.9 billion. The reduction primarily came from a change in the way Shell must account for employee benefits, such as pensions. Similarly, following IASB standards, the net worth of the French cosmetics giant L’Oréal fell from 8.1 billion to 6.3 billion euros, primarily due to a change in the way certain classes of stock were classified. On the other hand, some companies will benefit from the shift. The UK-based mobile phone giant, Vodafone, for example, announced in early 2005 that under newly adopted IASB standards, its reported profits for the last six months of 2004 would have been some $13 billion higher, primarily because the company would not have had to amortize goodwill associated with previous acquisitions against earnings.